This week we start a brand new series - For the Love of Laughter! 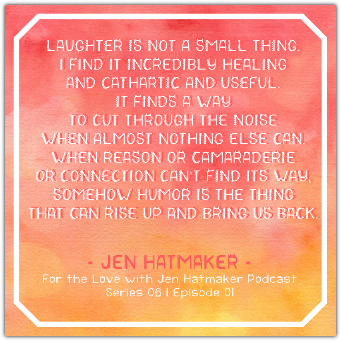 Jen’s love for comedy inspired this series, and with all we have going in our world today, it seemed like the perfect time for a good guffaw. 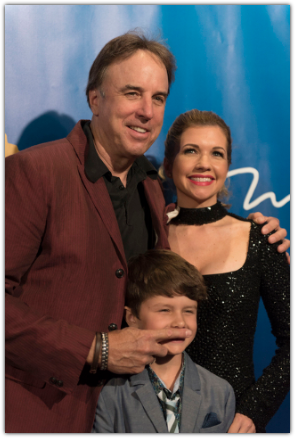 Our guests this week are comedian and SNL alum Kevin Nealon and his wife, Parks & Rec actress Susan Yeagley. 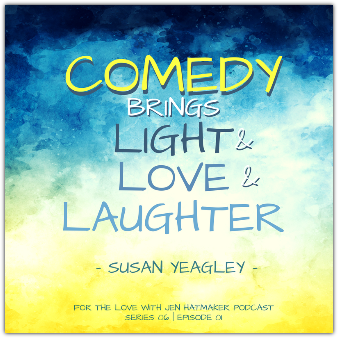 Kevin and Susan discuss how they got into the business of comedy, and the heart behind their love of laughter. 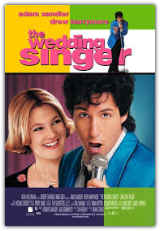 We’ll also hear what it’s like when two funny people are married (and the story of how Matt Damon was infamously not at their wedding). AND, as an FTL exclusive, we’ll also hear the joke Susan forbade Kevin to tell, until now, where she’s granted him permission to tell it right here on the show (and you’ll understand why it was forbidden). 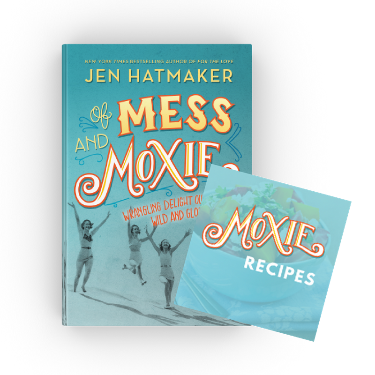 Jen: Hey, everybody, it’s Jen Hatmaker. Welcome to the For The Love Podcast. I'm so happy to have you here specifically today because we kick off a brand-new series that I am really, really excited about. If you know me at all, you know how much I love laughter and comedy and humor. It's one of my core values. I love funny people, I love funny movies, I love funny books. I don't think that humor is unimportant, I think it's actually really necessary right now in a world that feels angry and harsh and I'm so happy to bring you this series, For the Love of Laughter. I asked my team, "You know what? Let's have fun. Let's bring some of the funniest people we know to the podcast so that my listeners can have five or six straight weeks of really great entertainment." And you are going to…starting with today's guests who I'm so excited to have on. These are new friends--quickly becoming dear friends--and you are going to love this interview because it is so much fun. 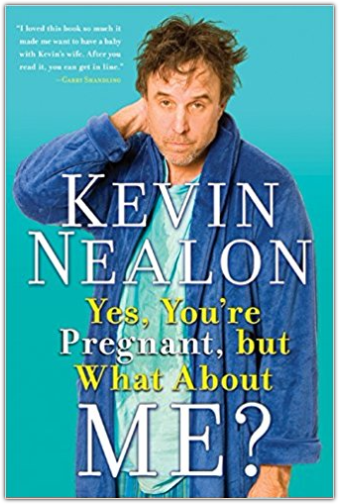 Today on the show, we have Kevin Nealon who is married to beautiful wife and comedian Susan Yeagley. We have so much to talk about. Let me just touch on them real quick. You probably know Kevin best for his nine-year stint on Saturday Night Live. 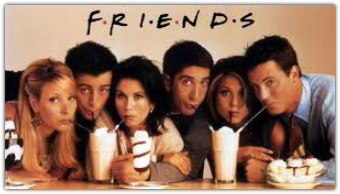 He was on this show from '86 to '95 in what I truly believe were some of their golden years. 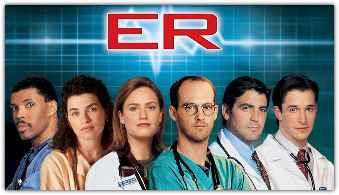 Absolutely one of the best casts during that time that I can remember, created some of the shows’ most memorable characters. 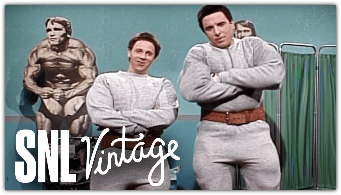 I mean we still to this day in our house do Hans & Franz. Kevin is one of the most naturally funny people I have ever been around and he's got this huge resume, you guys. 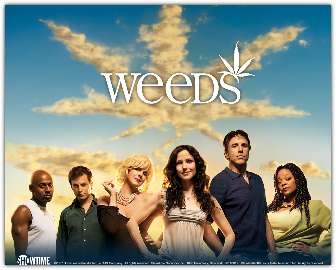 It would take me 10 minutes to go through it all right now but he has ... he was in Weeds, just a critically acclaimed, not just role, but television show. Won all these Golden Globes, all these just amazing awards for that show, and he's been in so many movies, so many comedies that you love. 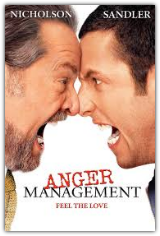 Anger Management, The Wedding Singer, Happy Gilmore, Joe Dirt, Daddy Day Care. It just goes on and on and on. 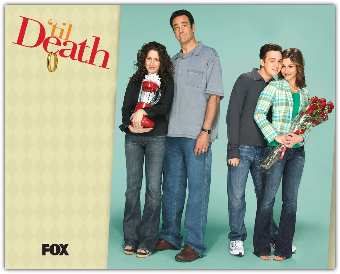 Right now, he's currently starring on the show Man with a Plan with Matt LeBlanc, one of our other favorites on CBS. Another thing that he's doing right now we're going to talk about and I want you to pay attention to is this bit he's doing called Hiking with Kevin, where he hikes with some of his friends and talks the whole time; and it's entertaining, and it's interesting, and it's funny, and so we'll talk about that and where to find it a little bit later in the interview. 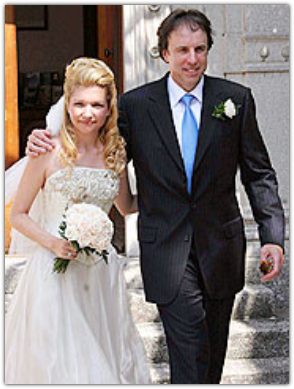 So, Kevin is married to Susan Yeagley. They've been married almost 13 years. They live in LA with their son Gable, who's 10, and Susan is hilarious. She is also an actress and a comedian and has her own very incredible resume. She was born and raised in Nashville and began acting just at age 10. In fact, one of her first gigs was an Amy Grant video. Don't think we're not going to talk about that you guys. She graduated from USC film school with honors and then she went on to be a part of one of the most important comedy groups ever, The Groundlings. She has a really great comedy pedigree too. She's still super close to her Groundlings community and so sketch comedy and improv is her bread and butter. 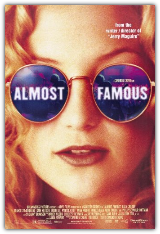 In fact, working on the Groundlings is when she got cast for her very first movie, a tiny little film you might remember, Almost Famous, awesome. She's been in a ton of television shows with recurring roles. 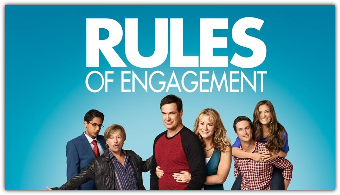 Rules of Engagement, Till Death, ER, Friends, Curb your Enthusiasm, Everybody Loves Raymond. Maybe most recently, you probably know her with her hilarious character Jessica Wicks on Parks and Rec. I mean this was literally written for her. In fact, that was only supposed to be a one episode character, and Susan's portrayal of her was so hilarious that she became a recurring character. She's so great and so just fabulous people you guys. We're going to talk about their rise to comedy and what it was like in the early years and what some of their favorite moments were, who their heroes are and I apologize in advance for all the times that all I do is laugh as loud as I can into my microphone. You might want to turn the volume down because we just guffawed through this entire interview and you are going to love it and you're absolutely going to love them. Without any further ado, it's just my pleasure to welcome to the show today, Kevin Nealon and Susan Yeagley. Kevin: Jen, remind me again how I know you? Jen: On that note, I'm so happy to welcome you both to the show. You are just two dream boats, is what you are. Thanks for being on today. Kevin: Thank you. What else are we going to do, right? It's Monday. Jen: Yes, seriously. What else is there to do except drink our coffee and eat our Bonbons? ​This whole series on the podcast you guys is For the Love of Laughter. Comedy is near and dear to you and to me too and so let's talk about comedy and funny people and comics and shows and writing and all of the things that have made up your world for so long. We got to meet last year ... when did we go you guys? When did we go to Kentucky? Summer? Kevin: Last June it was. Yeah, beginning of June. Jen: We went to Blackberry Farms, right? That's what it's called. ​Jen: Anybody who knows what that is just sighed audibly. It's the most beautiful place, you guys have been before but it was our first time. Kevin: It's a Blackberry farm, it's a farm where they have cows that produce blackberries instead of milk. Jen: That's right. It's a little-known fact. Just one of the things that they're known for and we just basically laughed for three straight days. That's my memory. My memory is that we never stopped laughing and then we went home. Susan: You know Jen, I've never had it happen where I was eating breakfast with you and your beloved and the waitress came and gave us a lunch menu because we had been there so long. Jen: That's right. That is so right, and in fact at that breakfast, Brandon was set for the long haul because he ordered two breakfasts. I don't know if you remember that--they would just bring you whatever you asked for, like you're just some kind of gross sloth person that “I just don't want to choose between these.” Do you remember that every day I got a pancake breakfast dessert? Susan: That's right. You had breakfast dessert and then lunch dessert and dinner dessert. Jen: Just one pancake as my breakfast dessert, and I felt like that was fine, and it's a free country. Kevin: This is why I can't order two things like Brandon does, because I will eat both of them, I won't just sample them, and then I will also eat whatever Susan doesn't finish in her plate. Jen: That's right. I know we call that second breakfast, first lunch. I feel like when we're traveling for fun, eating is the anchor activity from morning to night and whatever else we do. You guys hiked, you moved your bodies. We ate first and second breakfast, first and second lunch and we went to the spa. That was the totality of our activity at Blackberry Farm. Kevin: Well, that's because you guys don't have a chance to eat at home because you have so many kids. We just have one kid. Jen: So true. That is so true, it's kind of like Lord of the Flies here. You just have to grab food and shove it in your face or it will be gone. You know, four of our five kids ,you guys, are teenagers. Susan: You know what? We should do Wife Swap because it would be fascinating. You would come to this house, Gable's at school all day it's completely quiet. Kevin: Oh, you mean the show? Susan: Yeah, you know, where it's just quiet with one child, he's at school and you have nine hours of just stillness. Jen: I don't know what to say. I don't know what that means. I don't know about the words that are coming out of your mouth right now. What on earth. Our kids are all ... Gable is so dear, he is this well-mannered, polite, smart, interesting ... our kids, it's like they're all insane people and they never stop talking. None of them. All five at once at all times. No, I'm telling you, sister, you would not last two hours. You would be like, "Take my money so I can leave." Kevin: Our son is polite because we've threatened him. We said if you're not polite, you're going to get brothers and sisters. Susan: We have told him. Jen: That is a fair threat. Susan: Even though his 46-year old mother's eggs have dried up, we still threaten him. Jen: Listen, things can happen. There's ways around that so I think that's really wise. 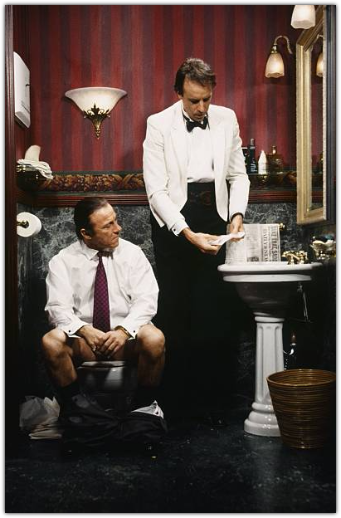 I want to find out how both of you came into the world of comedy and comedic acting and what kind of led you. I want to start with you Kevin. I know that you didn't really start out with the whole idea of being a comedian in the first place, you kind of thought you were going to be a musician, right? And then you ended up with a very useful marketing degree. Jen: How did this happen? How did this lead toward comedy? Kevin: In a nutshell, I had three different things I was going for. I was initially wanting to get into music because I love music but it just seemed too intimate for me to sing on stage and I didn't know how good I was; and I also went to school for marketing to get a degree just to have something to fall back on in case my ultimate standup career didn't work. But standup comedy is what I really wanted to do. I used to love telling jokes and I would memorize the jokes in the back of the Parade Magazine, you know they were “my favorite jokes” was what it was called. Then I would personalize them as if they were mine; not in clubs, but just parties with friends. I'd say, "Hey, did you guys hear about this guy who stole a fire truck downtown today?" They thought it was real. They said, "What happened?" I said, "Well, he was arrested three hours later by some guy who stole a cop car." But I loved the reaction from people telling jokes, and then I just decided that I'd check out the comedy scene because friends were encouraging me to go to comedy club and check them out. This is back in the late '70s, so it wasn't like the boom that it is now. Jen: When was that? Was that still in the late '70s or '80s. Kevin: That was back in the 1900s Jen, that was back specifically 1978 I think it was. Jen: Who was big in LA at the time? Who were you watching? Kevin: The first night I went into the Improv, I'm sitting at the bar there and to my left is Marty Feldman, in the hallway is Robin Williams, Andy Kaufman comes on to do a set, Jay Leno is doing spots all the time. It's those types of people. Jen: Crazy. You did use that marketing degree though. It did give you some inspiration for one of your most famous characters of SNL, right? Kevin: That's right. Yeah. I learned about subliminal advertising from marketing. The first sketch I ever did on Saturday Night Live was called Mr. Subliminal. It's almost like two conversations going on at once so I couldn't have picked a more complicated sketch as my first sketch on that show. Jen: You wrote it yourself? Kevin: I wrote it with Al Franken. Jen: Oh Yeah, perfect. Of course, that went on to sort of be this iconic character. That was probably worth your four years of college, the degree paid for that character. Kevin: That's right. Well, the school I went to, only one episode of that paid for it. Jen: So, Susan, you grew up in Nashville. Kevin: Oh, the Susan portion is going on so long. Susan: Okay. Sit down. Take a sit, sir. Take a sit. ​Jen: Take a sit or it's her turn because I'm about to tell everybody ... Listen, one of your first roles was an Amy Grant video and so we're going to need some details on that and you have this amazing compensation package. Number one, an album, number two a $20 bill. We're going to need to know about this foray into your rising star. Susan: Whoa! Okay. I would say it's very ... most people that grow up in Nashville know how to sing and I was the exception. I can't sing a lick actually I make coyotes bark and it's awful and so I found this little niche ... however you want to say it in Nashville where I would audition because I loved acting and I would be in the music videos but as the young girl bopping to the music and so I ... but they kind of liked me, these singers because they knew I was not threatening them. ​I had no talent and I would just smile and sing and bop around with my parachute pants and my big hair and my jazz shoes and so I was in I guess Mickey Gilley's video and I played a little kid and Johnny Cash's video and I got to be buddies with his son and they invited me over again because Mr. Cash said, "Suzie, do you sing." And ... Kevin do Johnny Cash for me baby because I can't do it. Susan: And I said to Cash, "No, I don't." He said, "Well, why don't you come over for a play date on Saturday?" I think that was my intro. Jen: Just as Johnny Cash says. ​Susan: Yes, as he says. So I just found my little part of the world there where I could act and do these things and did plays, lots of plays and yes, for Amy Grant, I was wearing parachute pants, big humongous hair with a sweat shirt with Chinese lettering all over it and we're bopping around. I got to sit right next to Amy, I was so excited and she had a cold that day, I remember. She had a Hall’s in her mouth and she would take it out between takes and I thought, "God she's real. Stars are just like us. She’s amazing." Susan: Oh! I've got it. Jen: This is exciting. What year was that? Do you remember? Susan: It would have been ... let's see if I was 12, then it would have been ... I was born in '71 so it looks like '83 if I'm doing my math. Jen: Okay. That was sort of your path in to acting and then it just grew from there. Susan: Yeah, it grew from there and then I finished high school, University School of Nashville, did lots of plays, came out to Los Angeles, went to film school at USC and ... which was great because I did everything behind the scenes. I learned what a gaffer does, what directing is, what writing is, film criticism--took tons and tons of classes. What was helpful was, when I graduated, I knew how to never be cut out of a movie because I learned if the main actor is dying ... 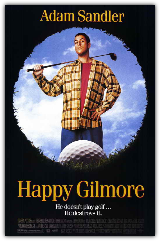 I did this George Clooney movie, it's one of my first ... it's a tiny little part. The Cohen brothers directed and they have several of these girls in the scene. They said, “this guy is going to die in the scene, who wants to be near him?” I raised my hand, no one else did because I knew if he's dying in the movie, and I can slither on top of him and fall, that's residuals for a lifetime people, residuals for a lifetime. So that's what I ... and that was my film school upbringing. It's just get yourself near the main characters and hang on tight. Jen: Hey, that's clever. I mean you learned to slither on top of a dead body. Susan: Yes. I'm not Meryl Streep, but you do what you got to do. Jen: You know what? You're in that scene, aren't you? You're not on the cutting room floor. Susan: I'm not on the cutting room floor and I still get checks from that movie. I'm so glad I got my film degree in something a little bit tangential and different from acting. From there after graduating, I went and saw a friend perform at the Groundlings who was taking a class series, and I fell head over hills in love and I just said,” this is for me, like I know my name.” I loved satire and I loved improve, and so I started taking classes and then from there, that was really in the early '90s, and stayed with it, and I got an agent from that, and that's how it panned out. Jen: Yes. This is just a stunning place to get your start and so interestingly while you were there and that casting director saw you, he cast you in Almost Famous. Whoa! Susan: It was a woman named Gail Levin, and that was interesting because originally Brad Pitt was in that movie and then I think he backed out. They brought me in to play his trophy wife or something. I was like, "This is exciting. Wife, trophy and the word Brad Pitt all in the same sentence? I like everything about this." He backed out and then the movie got changed a little bit, then I read for Kate Hudson's part which I didn't get, they gave it to Kate Hudson and then Cameron Crowe, the director brought me in a third time and he said, "You know what, I'm going to get you in this movie." I ended up playing a flight attendant and was thrilled and tickled and that was my first movie and really having that credit was such a flag pole on the hill. Putting that in the ground, that was such a great thing to do, and even though it was a little tiny part, it was a great launch. Jen: Now you've done everything, you've done film, you've done TV, you've done comedy, improv, what do you prefer? What do you love? Where does your heart beat the fastest? Susan: Comedy always. I love to be around people that are funny. I still go out with my comedy girls from the Groundlings and when our son Gable was born, Cheryl Hines and Rachael Harris were there at the hospital with me, who I did the Groundlings with years ago. That's my tribe, those girls are my people, we support each other, we've been through marriages and children being born and you name it. We are really open about what we're being paid too, so we've got that support. It’s been really, really helpful over the 20 years or so to grow with these women and I'm so grateful for that. Jen: I like to hear that because women have had to fight for their place in comedy. It didn't come as easily, as quickly probably as it did for Kevin and for some of his colleagues, so I love to hear that there is camaraderie there when there could be competition for fewer seats at the table. That's amazing. Kevin, you were a part of Comedy Store. Can you talk a little bit about that season and who you were with and what you were learning, what you remember of it, what it was like? Kevin: Well, when I first moved to Los Angeles Jen, I threw my hat in the Improv on Melrose in Hollywood and actually I became the bartender there. There were really two big clubs in Los Angeles at the time. There was the Improvisation and there was the Comedy Store, and I would do open mic nights on both of them and I would hang out at the Improv because that's where New York crowd was and also you got so many interesting people coming in that I met and it was more of a hangout place. I became a bartender there so if one of the comics didn't show up, I would go on stage. I wasn't a good bartender, I didn't know how to make drinks at all. I didn't even know what a seven & seven was. Jen: You're from Connecticut, what do you know about it? Kevin: Yeah, yeah, but I worked on the slow nights and I loved it, though. I got to see comics coming in that I used to watch on TV. I used to highlight the names of comics in the TV guide when I was growing up and I would stay home and I just watched them. So, I was seeing those same comics coming in, and I couldn't believe it. It got to a point where the room was so packed in the back that I would have to go up into the office and look through a peep hole to watch Andy Kaufman on stage, and George Carlin, and Steve Martin and Richard Pryor; everybody. It was such an education for me. The Comedy Store, you know, I never really passed it up there. Mitzi Shore, the owner, for some reason, I think she knew I worked as a bartender, or I used to work as a bartender at the Improv so she thought I was ... my loyalties were at the Improv but they weren't. But long story short, I eventually ended up working at the Comedy Store and my name is finally on the outside of the Comedy Store, which was my goal. Jen: Totally. You know what, you get your 15 minutes where you can get it. I heard an interview with you Kevin, where you said that there's a moment when you realized that comedy, it's not just fun, it's not just funny, it's not just entertaining, but it really has an impact on people; it was when Freddie Prinze passed away. Can you talk to everybody just for about that moment and that impact that you felt and what you took away from that? Kevin: Sure. Like I said, I was a big comedy buff and I loved comedians and I couldn't believe that these people were making a living just by coming out on TV without any tools, any physical like a drill or anything, or a hammer, and just dressed up and talking to the audience and getting laughs and being loved. That was kind of nesting inside of me the whole time and I knew it's what I wanted to do because I love telling jokes. I didn't know how to do it or if I ever could do it because I was so shy and so terrified to be in front of people speaking. Kevin: Yeah, and I was living at home still and I remember I was raking leaves and ... this is back in the '70s and Chico and the Man was a TV show and there was Freddie Prinze and he was this young comic who would go on The Tonight Show and he would host The Tonight Show when Johnny wasn't there, he was like a big deal and a young guy who was probably ... I don't know 19 or whatever. I was raking leaves, really ready to do some comedy but not really sure where to go or how to do it, and I was raking leaves. I had the radio on outside listening to it in the yard, and then they came on and they said that Freddie Prinze had killed himself and then the fallout from that, made me realize what an impact comedy has on people and the loss of this person would cause so much to-do and I thought, "This is a sign for me, a signal to just go do it." But you know what Jen, when I was working on the road, I don't know, maybe 10 years after that, I was in Albuquerque and I was at a club and the owner said, "Hey, can my son come back with his friend and meet you?" I said, "Sure." 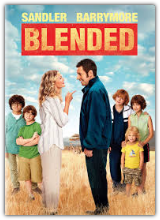 Her son comes back and he's got a friend with him and they introduce themselves and the friend says, "Hi, my name is Freddie Prinze, Jr."
Kevin: Yeah, it was Freddie Prinze's son and cut to like, I don't know, 20 years later ... 25 years later, his daughter goes to our son's school, so I see him at school a lot too. Kevin: No, and I've told him this story too about his dad and he loves to hear it. Jen: Whoa! That's a really crazy thread. Kevin: I just got chills telling that story. Oh my God! Jen: That's amazing. Who are your icons Susan? Who do you love? Who were your comedy heroes? Who were you watching? Susan: Yeah, I would say for me, when I knew that this comedy animal was so important was in childhood when my parents ... who were never meant to be married to each other, would not talk all day or fight all day and the one time I would see them laughing together would be when Johnny Carson was on at night. I remember as a little girl coming down the stairs and hearing laughter, the only time really I would hear that laughter and that was when Johnny Carson was on, and I just maybe made that association that comedy and comedians bring light and love and laughter. So that's my Freddy Prinze story, so to speak. Jen: That makes me remember when ... after 9/11 and we just did not know how to restart the engine as a country, we didn't know when we could come back to life, we didn't know anything could be normal and David Letterman, you probably remember, was the first one who came back on Late Night and just decided to be the lead blocker there with this very gifted mix of humor, and compassion, and empathy, and entertainment, and it almost taught the rest of us how to breathe again. I remember thinking the same thing, a similar epiphany; that humor matters. Jen: It really, really matters. It's good and it's good for us and it's good to us and laughter is not a small thing. I find it incredibly healing and cathartic, useful and it finds a way to cut through the noise when almost nothing else can. When reason can't find its way or camaraderie or connection, somehow humor is the thing that can rise up and bring us back and so I'm with you 100%. I don't think humor's silly, I don't think it's superfluous, I think it's really important, really central to this character of our culture. Jen: I want to ask you this Kevin, obviously, you went on...well, let me back up just a little bit. I would love to know how you went on to get on SNL. 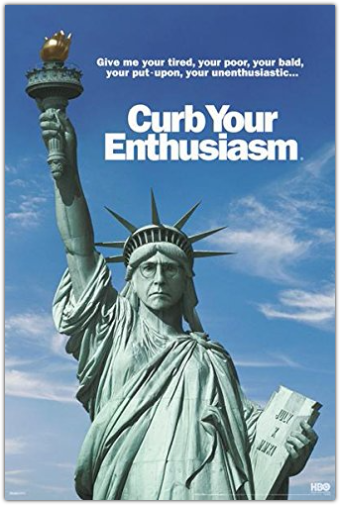 I heard that this came through Dana Carvey, that he got on the show and recommended you. Can you talk a little bit about the leap between doing standup in LA, to being on one of the most important shows in our American history? Kevin: What happened Jen, was I was doing jokes in Los Angeles so I was becoming a standup comedian and I had done the Tonight Show with Johnny Carson, which was a big feather in my cap. It's kind of like getting validated as a comic. It's like passing your bar exam as a lawyer and that was a thrill of my lifetime and really just the biggest thing I've ever done in my career. It was the most natural high I've ever had, getting on that show and doing and having Johnny like me and all that but I was renting a home in the Hollywood Hills with two other comics, you don't know who they are, and Dana Carvey rented the room over the garage over in our house when he was down from San Francisco. He would stay there. Jen: Already casted. He was on the cast. Kevin: Yeah, he got casted for that upcoming Fall season, and we were all excited for him and I never even thought about being in SNL because I wasn't a sketch player. I didn't do characters, I didn't do accents, I was just a comic, a really, really good comic. Susan: Thank you for letting us know. Kevin: Yeah, just in case there's any doubt. I get a call from Dana one afternoon that summer before the show started that Fall and he goes, "Kevin, I'm at Lorne Michaels’ house. I'm in the back bedroom. Guess who's in the kitchen? Bill Murray and Dan Aykroyd." I said, "You're kidding me." He goes, "No. Anyway, Lawrence said they're looking for one more cast member and I told them about you and I think he's going to want to see your tapes." I said, "Oh my gosh! Bill Murray and Dan Aykroyd are in the kitchen?" That's all I cared about, you know. Jen: Right, and of course he's calling on his home line because that's before cell phones. Jen: He picked up his phone in the bedroom and called you, right. Kevin: Hopefully there wasn't a baby monitor back then. And he goes, "I've got to go. Somebody's coming." So, he hangs up, and I don't think anything of it because I'll never get on that show, but it was nice of him to mention my name, and I'm still basking in the Billy Murray and Dan Aykroyd thing in the kitchen. Two weeks later, after I send my tapes in, he calls me again. He goes, "Kevin, back at Lorne Michaels’ house. I'm in the back bedroom. Guess who's in the kitchen?" I said, "Who?" He goes, "Steve Martin." “No way! No way!” He goes, "Yeah. Anyway, I think Lorne liked your tapes. I think they're going to fly you in for an audition." I said, "What? Steve Martin's in the kitchen? Steve Martin?" "I've got to go. Somebody's coming." Then I fly in thinking I'm never going to get it. For me, it's just like a free trip to New York. I said “I'll just humor them, I'll go in, I'll show up, because showing up is important, I guess and I get on a plane thinking it's just going to be maybe me and somebody else. But the whole plane is full of everybody going to audition for that one vacancy. Jen: Oh no! Are you serious? Jen: Sure. So, you're just going to do a bit. You're going to do one of your bits and just see what happens. Kevin: I'm going to do some of my stand-up, no characters. I'm going to do some of my stand-up from whatever, the Tonight Show or whatever and maybe I'll touch on some of the things Dana and I ... we worked on some characters like in the drive way of our house just kidding around, the things that made us laugh. I did those then I left thinking, "Well, that was that. I wonder who's going to get on that show?" 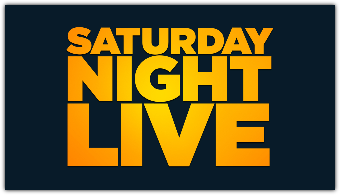 Two weeks later, I'm sitting in front of Lorne Michaels in a high rise in Beverly Hills and he's offering me a job on Saturday Night Live. Kevin: Yeah, and it just showed that if you just show up sometimes, you never know what's going to happen. Cut to two weeks later, I'm at Lorne Michaels’ house in Long Island and I get a call from Dana Carvey. He goes, "Kev, I'm at Lorne Michaels’ house. Guess who's in the kitchen." I said, "I am, tough guy. How do you like that?" Jen: Oh man! I just love that story. Did Lorne tell you pretty early on, we want to start crafting character work with you, we want to start developing ... did you have to immediately jump into that sort of comedic role and figure it out? Kevin: Yeah, I had to figure it out because I was the joke writer. I would write set-ups and punch lines as a stand-up comic. I wasn't thinking in terms of characters and sketches, beginnings and middles, not ends though, because I realize that they don't have ends on those sketches, a lot of them, and accents and things like that. I also realized living in New York city, you're thrown into the middle of so many different characters and accents and it's like immersement, when you're trying to learn Spanish or something just to go to that country. I was in this melting pot of such a diverse group, but Lorne did say that to everybody. He said, "You know characters is what we need,” and you know, things like that. Susan: Let me just say something about this. I cannot underscore enough the importance of just showing up, not only in this business, but in life. 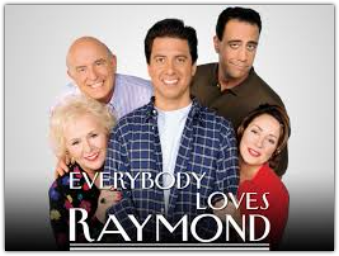 I remember going in for Everybody Loves Raymond, a guest star part and it was as a leader of this positive thinking cult and I walk in and auditioning are all these women in their 60s, 70s, 80s. I thought I was in the wrong room, so I got on the phone in the bathroom with my manager. I say, "I think I'm in the wrong place." He said, "No, they called you in, okay?" I said, "No, but this is not my age group." Because I was in my 20’s at the time. He said, "Just hang in there." I go back, sign in and sure enough, they just didn't know what they wanted for that part and so I thought, "Let me just see what happens." So, I go in and I ended up getting that part and what was written for someone older, they decided in the last minute to make it a younger part. You just never know. What I've learned now, it's not up to me to determine if I'm right or wrong for something, it's up to me to just show up and let the chips fall where they may and that's for pretty much everything. Not just auditioning, but I'm showing up, suiting up and then whatever's to be will be. Jen: Susan, your career has been so interesting and so fun and so diverse. You've been on so many great shows and in great movies too. What's one of your ... and of course, Kevin's talking about having to learn sketch comedy and character acting and accents, but that was your bread and butter, because you came up through improv. What's been one of your favorite roles? What have you loved to ... what character did you love playing? Susan: Oh! That's such a good question. I'd loved ... two things come to mind. 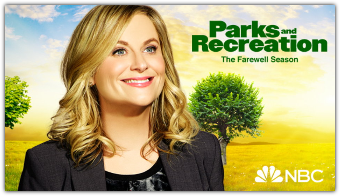 I loved doing Parks and Recreation and that was such a fun part and I love Amy Poehler so much, I just want to put kisses all over her sweet head. Talk about supportive and warm and just wants everyone to shine, and I love that. Being on the show, when we would do the copy that they gave us which is always so incredibly skillfully written, it's so great. Then we would do improv takes. She'd say, "Okay, do you have a different idea or want to throw in this?" Or Aziz would throw this out and she would throw out this, and just knowing that it's safe and some things are going to work and some are not going to work at all. I loved that freedom and support that she would give on set. That role of Jessica Wicks. Jen: You were made for Jessica. Jessica's the funniest character, just the funniest. You were so good. You brought her ... I don't know how she was written in to the script but you brought her to the front as just one of the most memorable characters. So funny. Susan: Thank you so much. That was supposed to be one episode. I came in just for one. Jen: I knew it! I knew it. And they're like, "We've got to have Jessica back." Yeah, you made her so funny. You brought her to life. I like hearing that about Amy Poehler. You told me that before and again, I love that sort of sense of collaboration where comics trust one another and give each other some liberty to move a little sideways, or have a little flex with your character. On Parks and Recs specifically, was a lot of your work that made it to the final product improv? Susan: Some of it was. I would say they would definitely be open to that. I remember they asked me ... 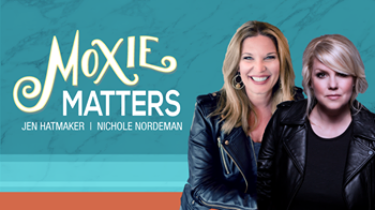 I was a former pageant winner, Jessica Wicks, won miss something, 1993 pageant winner, and so they had something come up where they wanted me to know what my skill was when I won the pageant. I asked them if I could just say that it was packing a suit case, that I came on stage and packed a suit case, and they said “sure.” They left that one in. It's kind of spotty though. They'll leave some things in and other things they'll strike. You just never know but they're definitely open. That was fun. That was really, really fun. Jen: Oh, that's so fun. Both of your careers are very prolific and something is just constantly going on in both of your lives. So, how did you two meet? Can you tell everybody ... because it's so busy, the work that you do and the schedules are weird and unpredictable and awkward and so how did you meet and what were your first impressions of each other? Did you immediately think the other one was funny or not? Because you know sometimes, people who think they're funny all the time can bomb in real life. Susan: 100%. Kevin, you want to take that babe? Kevin: Okay. Well, I was on my way to do a ... let me back up a little bit. I was hosting a show called the Conspiracy Zone for ... I think it was on TBS and a friend of mine was shooting a pilot for a talk show, John Henson who used to do a Talk Soup. He asked me if I would be a guest on there, along with Ray Romano and Kevin James. I said “sure.” I said, "I'll come over after I tape my show." I'm heading over there after I tape my show and I had been single for a while and I was just wondering if I'd ever have kids or a family or anything, and I hadn't met anybody and I was kind of getting you know, not impatient, but I was wondering what would be happening in that arena. I get to the Sony lot and I go into the make-up room and it's a big old make-up room and there's five chairs in there and Susan's sitting on the first one as I come in and I see her and I think to myself, "Wow, she's cute." Then I go down four chairs to my makeup artist and I sit in the chair and loud enough for Susan to hear, I say to my make-up artist, I say, "You know, you hear a lot about single actresses adopting babies or a baby, can a single guy adopt a baby?" Susan: Right then, I thought this is either the worst pickup line ever, or the greatest thing I've ever heard because in one swipe I knew he was single, available, was very parent-centered, wanted a family so I kinda dug it because it was so weird. It was so weird to hear that. Kevin: I could honestly tell you I don't remember if I'd done that as a jokey kind of thing or a pickup thing, but I do know that I didn't know anything about her. I didn't know if she was married, or she was available or anything like that. Then we just kind of hung out because these shows run so far behind and Susan was pushed back all day. She was there all day and I was just ... people were coming in and going ahead of her because they were all big stars. Susan: Because they were big stars. Yes, they were. Kevin: So, I just hang out with her and we just laughed about things and we were funny with each other. Neither one of us had expectations because I don't think Susan was that familiar with my work and I didn't know who she was and I think ... what was the thing Suse that you liked and I said that was funny? Susan: You know those big steamers Jen, that are pretty tall, with their own wheels, they're a little tall and skinny? Susan: There was one in the waiting area and he said to me, "If you worked on the Sony lot here and you had to steal this, how would you steal it?" Again, I'm loving his mind. I'm like, "What a freak. I love this. I love it." I said, "Well, babe ..." I didn't say babe. I said, "Well, let me think about it. I think what I would do is maybe put a jacket around it, a blazer, a nice top hat, wrap my arm around it and just go off with it kinda like a scarecrow. It looks like a scarecrow." I thought that was like a C+ answer. It wasn't fantastic. Jen: Pretty quick on your feet. Susan: But closer to his answer though. This is why he's my husband. Listen to the answer. Kevin: This is why I own that steamer now too. I said that I would come to work every day with roller skates on and then after about a month of wearing roller skates to work, I would take one of the skates off and run that long rod up my pant leg, so just the wheels were down at the bottom and then I would skate out with it. Jen: You know what, that's the moment you had to know you were going to marry Kevin. What else are you going to do but marry that person? 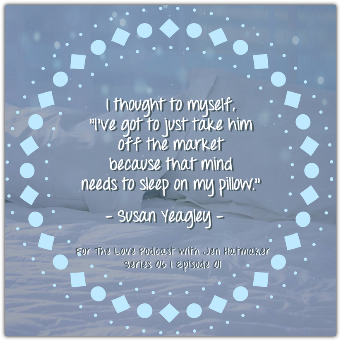 Susan: I said, I got to just take him off the market because that mind needs to sleep on my pillow. Jen: That's amazing. Speaking of, tell everybody about your subsequent wedding. How long did you date before you got married? Kevin: About three and a half years. Jen: Yeah, that's what I thought. You're dating for three and a half years, then you get married, tell us about the infamous Matt Damon incident. This is all important content. Kevin: Well, we wanted to go off to Europe to get married and not have a big wedding because we were both very nervous about getting married. Susan: Town Library, I think. Kevin: Town library, yeah. He's got ... and it's all Italian so we're not really understanding anything. Susan: We're not even sure what we committed to. We have no clue. We still don't know. Everybody thought it was Matt Damon. Even though we weren't Matt Damon, they took pictures of us and the next day, we're sitting by the lake at a café and the guy is reading the newspaper; Italian newspaper next to us, and we're on the cover of the newspaper, big picture, it says “Non atta Matt Damon.” Not Matt Damon. Susan: Not Matt Damon with a picture of us, and I kid you not Jen, I walked out of that library in my wedding dress to the saddest faces of photographers. Literally, their lenses were going down on the cobble stone. They were so mad at us for not being Matt Damon. It was ... they were just trying to be cordial, so they snapped our pictures anyway and I thought, "Why do they seem so disappointed? What have I done?" ​Jen: Well, they weren't too upset. They put you on the front page. Jen: So, who's laughing now? Susan: Who’s laughing now? It’s our favorite thing, we're going to have that framed for Gable's room is to put “Non atta Matt Damon” whose parents are on the cover of the Italian magazine. Jen: You know what? It's his legacy and his heritage. So, absolutely let's hang it on that kid’s wall. That's the most amazing story that I've maybe ever heard. That's fabulous. You've been married now for 12 years? Susan: Yeah, together 17. Married, this year will be 13 years. Kevin: But we were not together for about 47 years. Jen: Okay, that's true and now you fixed it. Susan: Right, because we're 18 years difference. So, he's 18 years older. Kevin: Sometimes 17, for part of the year. Susan: You like saying that but if you take our birthday, it's exactly probably 18, but at this point who cares. Jen: Listen, give him his half of year. Susan: I will. I'll give it to him. Jen: Right and then a couple of years later, son time, baby time. Susan: Oh, yeah. That's the best. Jen: He's so dreamy you guys, you made a good baby. Susan: Yes. It's the hardest job I’ve ever loved, as they say. It's amazing. Jen: Yes, I completely agree. Let's talk real quick about “Hiking with Kevin.” That's something really fun that you're doing, Kevin. It's so fun to watch too. Can you talk just a minute about why you are doing that and where did that idea come from? ​Kevin: Thank you for asking about that show because it's something that's really close to me. I love doing it. It's just a little show that I created. It started on Instagram and Twitter. I was just doing a minute or a two-minute version of it. I would just go hiking on a canyon near my house and I invited a friend of mine to come, the actor Matthew Modine from Full Metal Jacket, he's on Stranger Things now. We're friends and I had my cell phone and I thought of ... I'm always trying to think of funny bits to do, to post, and I thought it would be funny if I was interviewing him as we're hiking. I was so out of breath, eventually you couldn't even understand the questions I was asking him. Kevin: After doing Full Metal Jacket, he passed on the Tom Cruise part in Top Gun, he passed on Back to the Future and Wall Street. I thought, "This is kind of interesting. I should hike with some more of my celebrity friends and find out what they're about." I started to get a little more involved in it and made it more of an interview thing outside just hiking and then posted it on ... two minutes segments on Instagram or Twitter. Then I started moving it over to YouTube. Now it's on YouTube. If you go to youtube.com/kevinnealoncomedy, you could find a lot of the hikes on there and I keep posting them, but I love doing it. Jen: They're really fun and it's this mix of just comedians being hilarious but also some real stuff. You dig around a little bit and talk about some real things. Who's been your favorite person to interview on the hiking series? Kevin: Well, I've had a lot of good ones. They're all random questions by the way. I'm not like one of these well planned thought out interviewers but they're just kind of random. I'll ask silly questions and it's just me with my selfie stick too and the camera. It's a little bit raw and shaky and the sound's not that great but it's still fun. It's not just comedians Jen, I've had Robert F. Kennedy on there and Brad Paisley and actresses. It's been a collective group of people, but it's hard to say who my favorite was. It was fun to have Tiffany Haddish on because she's a rising star and she's just so animated and so fun and just so original and organic. I liked her. Jen: She is. It's fun to watch her star rise right now because she's just got a real special talent that doesn't sound like anybody else that I'm watching and I'm cheering for her. I read Susan, where you were asked, what's it like to get married to a comedian? And you were like, "Well, I could've married a musician and he'd have written songs about me ..." You said this to me last summer too. "But I married a comedian so I get jokes written about me." It's a little bit of a trade-off. Does he run this by you for approval, these jokes or has there ever been like, "No, Kevin, that is a hard no. You don't get to say that one on a stage." Susan: What a great question. I would say ... here's the thing with marrying a stand-up is that I've decided I can't marry a stand-up and then complain that he's telling jokes about me. I have to say the way if I married a painter and I'd watch him put the canvas out, I wouldn't tell him what to paint. I would just give him that freedom. I allow him to do his art form. That being said, if anything is going straight down the rabbit hole that I feel is going to be far reaching and hurtful, I will say there is one joke that I asked him to take out I think in 17 years together. One joke that I said ... about me. There's times I give him notes about other topics. I'll say, "You know what, that's a little too political or that's too dry." In terms of about me, there was one joke I told him to take out, and Kevin if you'd like to tell it, you're welcome to. Jen: Oh! This is exciting. Susan: The birthing room joke. Jen: Oh no! I can see where this would go sideways. Let's hear the forbidden joke. Kevin: I will tell this ... but first I have your permission to tell it? Susan: Yeah. I mean yes, you do. Kevin: Okay. When Gable was born, we went to the hospital and I'm not really good with blood and placenta but I knew I might be involved somehow, the doctor might pull me into it but my job was to work the iPod. I was to focus on that. I thought that would take me away from other duties. When this is all coming down the doctor goes, "Do you want to help with this?" I said, "Yeah, I'm working the iPod." She goes, "No, I mean do you want to help deliver the baby?" I thought, "No, definitely not." But because I hate confrontation, I said, "Sure, yeah I'll help." She gave me these latex gloves which meant something was going to get wet and it better not be the iPod. When I put the latex gloves on, then she instructs me to hold my wife's left leg up, which is how I got in this position in the first place, and I'm angry because I can't hold the leg up and work the iPod at the same time. I should've hired a DJ to come in. I would've had him hold the leg and I could've worked the iPod. Anyway, the doctor goes, "The baby's head is coming out." It looks hairy purplish and gray and I said, "I don't know, I think that's always been there." Susan: Boom! That's it. That's the one that came out. Jen: That one was struck from the record. That feels like the right choice. Susan: You with me Jen on that, you got my back? Jen: Oh my gosh! I see what you're saying. There just is ... occasionally you get to pull rank. Just occasionally. Jen: Okay, you guys so you're so fun and I love you both so much. Let me ask you this before we wrap it up here. What are you both working on right now, what's coming up for you both, either together or separate in your careers? What are we watching for next? Susan: Quickly, I'll be on the first episode of Love that is going to be streaming. I believe it comes out in February on Netflix and then I've got a small part in the next Johnny Knox film movie that is coming out in May. Then there's a movie out now on Netflix called Mascots. A Christopher Guest movie that's out now, so you could actually see that. Mascots, and I'm in that playing Parker Posey's sister. You can see that today, and then stuff is coming out the next few months. Jen: Girl, you're just hustling. Kevin: You go girl. 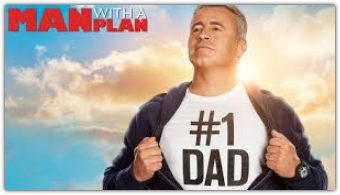 I have a show on CBS, it's called Man with a Plan on Monday nights 8:30, 7:30 central and that's with Matt LeBlanc. He plays my younger brother and we have a construction company and families and all of that jazz. Then, of course, my Hiking with Kevin show. I'm going to keep pumping those out and I have some good guests lined up for the next couple of months. Jen: Are you glad to be back in the TV rotation, that sort of schedule, that kind of rhythm? Kevin: Yeah, it's nice. It keeps me home where I don't have to be out on the road all the time. Although I do have a nice gig coming up this week. I'm going to Hawaii for a couple of days. Susan: Just to tell jokes. He's going for one day to tell jokes and then fly back the next. That sounds good. Jen: That's a good life. Are you going Susan? Susan: No, because it's Gable's birthday weekend, so he'll fly back just in time ... midway through the birthday party so I'm going to be here for that. Jen: It's pretty brilliant timing to get to miss all the set up and just get there for the fun. Well done, you. Okay, just a couple of quick wrap up questions and then I will send you on your merry way. Okay, so first to you Kevin, and this is just as quick as you want. What would you say is the best either comedy bit or character that you ever came up with? What's your star, what's your shining gold star? What's your favorite? Susan: Can I tell you my favorite thing you've done? Jen: Oh! I'd love to hear that? Susan: I love your Hiking with Kevin right now because it's who you really are. You're such a good listener Kev, and I think when you're hiking with people, that's the most organic you I've seen. I love that. Jen: Oh! I like that too. Jen: Oh! I'm going to find it. I'll find it and put it on my website. That's hilarious. How about you Susan, what's your ... the role that you're the most proud of, or that was you very, very, very favorite? 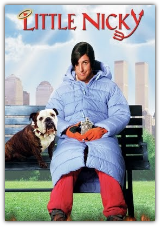 Susan: I would say being in the Christopher Guest movie has been ... because I just have loved his movies since I was little… since Spinal Tap. He’s so special, and as an improviser to me, that was the gold standard, that is my north star as an improviser is to be working with him just was all that and a bag of chips. It was so wonderful. That part and getting to work with Parker Posey and that whole cast, Jane Lynch, that whole group; Ed Begley and ... yeah, so that was an incredible experience. That's been my favorite job I would say. Jen: Love it. Okay. Final question for both of you and this is what I ask all my guests right at the end of the podcast and this can be serious, it can be silly, it can be whatever you want it to be and it's this, what is saving your life right now? Kevin: For me, it's hope, family and music I think. Those three. Jen: What are you listening to right now? Kevin: I have such a diverse list on my phone, but I do like Ed Sheeran, and I'm always listening to the Beatles. I'm such a Beatles fan and it could be anything. I could go from a classical song to old school rock. Jen: I love that answer. I think music does for our culture something similar as comedy. It reaches a space that sometimes just spoken words cannot. Something about it can bring us together and heal something inside of us and it sort of gives us a language when we don't know what else to say. I'm with you entirely on that. I like that you said hope. I think that's great. We're in short supply of hope right now, so I'm constantly grabbing on to people who are offering it, and giving it away, and speaking it out loud, and I don't think we can have any ... we cannot have too much of it right now. That's great. What about you Susan? Kevin: Food, double down on the food. Susan: Double chocolate Sundays, double forgiveness, lots of forgiveness. Jen: I hear you. That's beautiful. Jen: I know. When the well seems to get emptied out sooner, you just double down. Fill it up twice as fast. Kevin: So, Jen, who was right? Jen, who was right on that one between the two of us? Jen: Who's the winner? I'm the winner because I got to have you on the podcast. Thank you. Susan: We love you and we're excited to see you February six in Pasadena. Jen: I know. I'm so happy and you've got the girlfriends pack so I'll get to see you both. Susan: Oh yes! Kevin's one of the girlfriends. Jen: He is now. Thank you guys for being on today. Kevin: All right. See you Jen. Jen: Aren't they fun? I really like those two and one thing that I want you to know and I mentioned this in the intro, they're really, really great people. They do a lot of good in the world. This is not anything they ever talk about or they're ever going to just put right in front of your face, but they just partner in some really important work for the good of people, and good of the community, and I'm just really proud to be their friends and plus they're hilarious. I know you enjoyed that. I'm sorry for all my cackling. I have no chill. When people make me laugh, I can't laugh quietly, so I'm sorry about that. I hope I didn't tear your ear drums out. 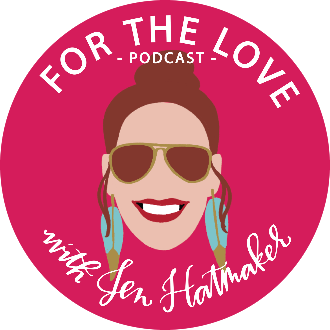 Everything we mentioned you guys, all of their shows, all of their links, Kevin's hiking series, everything they've ever done, we're going to have linked over on my website, under the podcast at jenhatmaker.com. All their social media links will be there too if you want to follow them because they're both really, really fun to follow on social media as you can imagine, and we'll have some great pictures of us over there too. We've spent several moments together in real life, which we're so lucky. Lucky, lucky people to have such great friends. Thanks for joining me. We have more really, really fun guests on For the Love of Laughter series. It's all going to be entertaining. Some of the funniest people I know are coming on this show and you are going to enjoy it, so this will absolutely help you pass an hour of your time, that I can promise you. You guys, thanks for listening week in and week out. Thank you for your reviews and your ratings. Thank you for your enthusiasm. I love meeting you when I'm out and hearing what you loved. We're always paying attention to what you would like to hear about, so keep letting us know. We take crazy notes on all your feedback. We really, really appreciate all of it. Okay you guys, have a fabulous week and I'll see you next time. ...and many others. See the full list here.